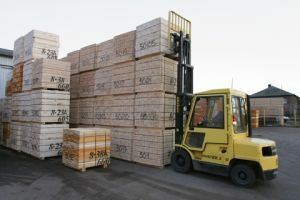 Liepaja Special Economic Zone Joint Stock Company "PIEMARE" in Liepaja port deals with different loads - general (on pallets, "big – bag”, truss, sawn timber, iron fittings, etc. ), bulk (scrap, coal, peat, peat briquettes, wood chips, crushed stone, etc.) and frozen products (fish, meat, vegetables) handling. Cargo handling operations shall be performed at berths No. 64. and 65. with a total length 299 meters and piers No. 73rd, 74th, 75. and 76. with a total length 503 meters. In handling operations are used 7 portal cranes with a lifting capacity up to 20 tones, forklift trucks, wheel loaders and other machinery required for stacking. In our docks we do loading and unloading: from ships, rail wagons, a road trucks. 500 ton/24hours or 15 000 ton per month. 300 ton/24hours or 9000 ton per month. 400 ton/24hours or 10 000 ton per month. The potential volume of transshipped cargo per month simultaneously are two positions from the above list. Open wagons/road trucks - portal crane - an open cargo area - portal crane – ship hold. All the reported amounts of cargo for transfer are shown during loading only the stacking technique, without the use of manual labor.